Attrition, turnover, and churn are words often used interchangeably. 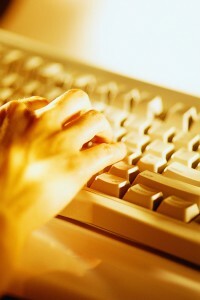 In HR terms, their use indicates the rate at which employees are voluntarily leaving your firm. 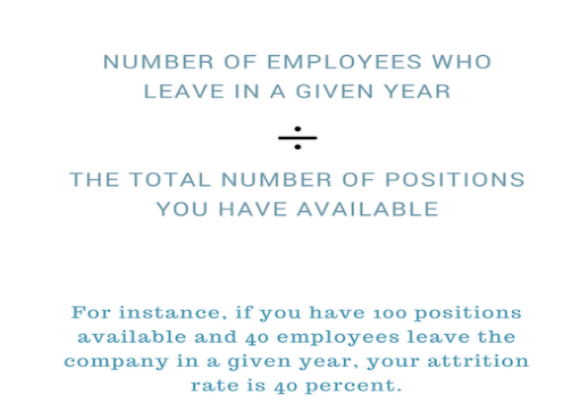 There is a very simple calculation to determine what your annual attrition rate is. Let’s say that you calculate a turnover rate of 30%. That seems like a pretty high number, right? Or is it really? If your staff is comprised of a large number of high school students or college interns, 30% might be excellent turnover rate for you. If you are snowball stand owner, this number may be quite low. The point is that instead of spending a copious amount of time trying to figure out if your churn rate is good or bad, based on its place on a numbers scale, you should be asking yourself what the implications of this rate mean for your company. In other words, why are your staff choosing to leave? Unless you can determine that some portion of your business operations is healthily turning over employees, any amount of turnover should make you stop, scratch your head, and ask why this is happening. In Steffy’s experience, turnover indicates that somewhere along the way, “someone didn’t make the right decisions.” She encourages that you investigate why as quickly as you see a problem developing. Knowing that the “two main reasons why employees leave” are due to “bad hiring” or “bad management,” may help you determine a starting point for your inquiries. Once you have drilled down to determine the root of the problem, it is just as important that you “learn from the lessons” to eliminate the same problems from cropping up again in the future.